You’ve decided your business needs a new website. You’ve agreed a budget (that you WILL stick to!) so what do you do now? Well, appointing a website design (and development) agency is your next step. 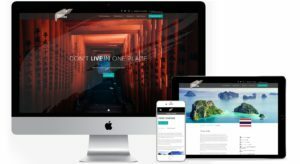 You’ll need to write a website brief to achieve this; but be careful – too little information about what you require and you’ll get confused when comparing agencies’ responses, too much information and you could miss out on tapping into the inspiration and experience that website design agencies have to offer. A static website is sufficient . It just needs to back up what we say whilst networking and provide a little extra information. The website needs to have a gallery to show off our photography work and a client portal for accessing their wedding photos. It needs to showcase our products in an online shop and have an ecommerce facility to allow customers to purchase from the shop. It needs to display multiple photo albums and videos as we have a large library due to the nature of our business. It needs to be easy for us to update as the information it displays changes fairly often. Hopefully these examples help you, but please try and think of a fuller answer than ‘a nicely designed website’ as this won’t help … realistically no agency will aim to create a ‘badly designed website’! 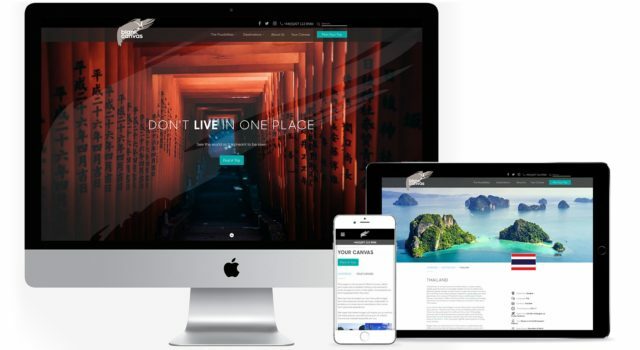 By understanding what exactly you are trying to achieve with your new website will help you to provide a detailed brief which in turn will mean the agencies provide you with detailed and thorough proposals instead of wasting each other’s time. What differentiating characteristics do they have? What is their pain that you solve? By doing this the website is designed with your ideal customer in mind. It will do the job it’s intended to do and deliver a higher level of ROI (Return on Investment) for you. To further describe the people you want to attract, it can be helpful to specify the kind of clients you don’t want to attract. Is there an important deadline when the website must be ready? This might be to coincide with a product launch an important anniversary or a marketing campaign. If so, make sure you detail this in your brief. The agency can then ‘work back’ from this date and keep the project on-track. Most website agencies have a lead time so will need to schedule your project into their workload. It helps all parties involved to put milestones in the diary. It’s generally content that delays a website going live. Include in your brief who is responsible for the copy. Request dates when the copy is needed or when you’ll have access to upload it. The more people involved in the decision process the longer it takes for decisions to be made and feedback provided. Enclude in your brief those involved in the project, what their role is and their contact details. Highlight who is the owner of the project and who makes the final sign off decision, if they are two different people. Providing a budget is hugely helpful to a website design agency. It’s pointless if they respond with a quote that’s 50% more (or less!) than you are prepared to pay. It will also help you to compare one agencies quote with another, if you are planning a ‘beauty parade’. When responding to your website brief, ask the agency to itemise their costs. This will make it easier for you to compare like with like. If you’ve provided a budget that’s a range i.e. £2000 – £3000, asking for itemised costs will help you to go back to the agencies, asking what they can either remove from the quote or features to include. Double check if VAT is included or needs to be added. Also, check if there are additional costs such as ecommerce apps, images, video, content uploads or optional extras such as hosting, support and software updates. …suggestions about the aesthetics and design of your new website, that’s the designer’s responsibility and what you pay them to do. We look forward to receiving your website brief and working with you to create a website that your customers love and you are proud of. Email your website brief to thomas@progressiondesign.co.uk. Have a question? Give us a call on 01483 862 792.